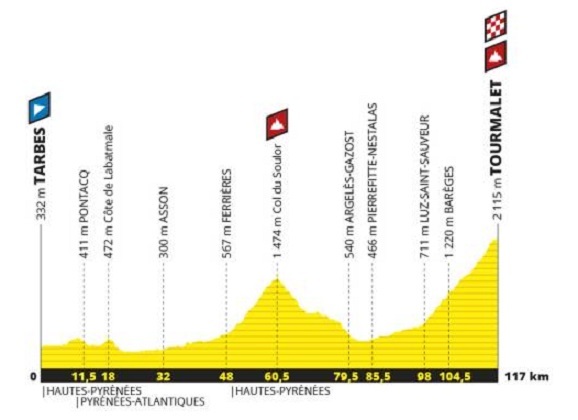 Overflowing with names like the Soulor, Port de Lers, Péguère, Izoard, Galibier, Iseran, and Val Thorens this will be a Festival of the Classics, topped by some amazing French culture as the two mountain ranges are linked by a couple of Provencal stages (yay). 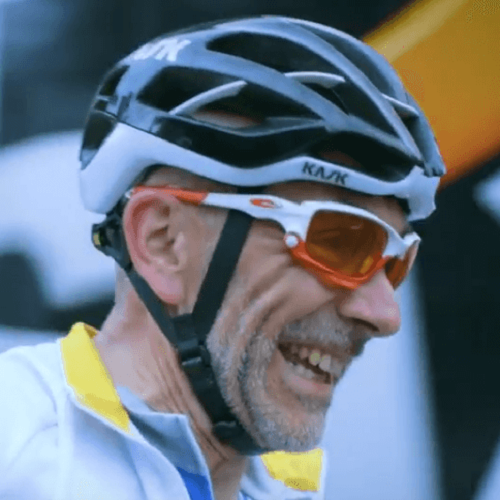 A quick look at any analysis of the 2019 Tour route will tell you that these 7 stages are a big celebration of what France has to offer the cycling world. 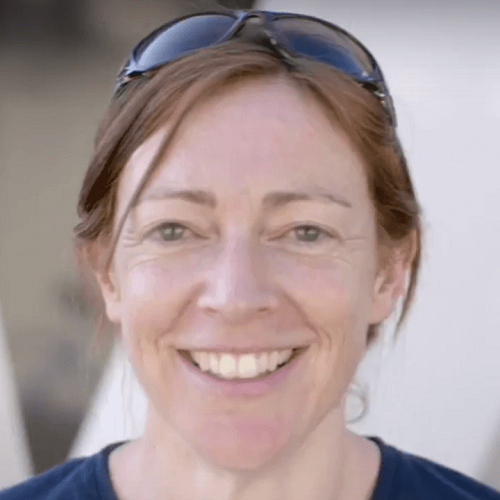 With four mountain-top finishes to add to the drama (and sense of achievement), this is your opportunity to experience the show – and test your climbing legs. The acheivement is then enjoyed for a second time as you watch the pros on TV the week after and they follow your tracks! 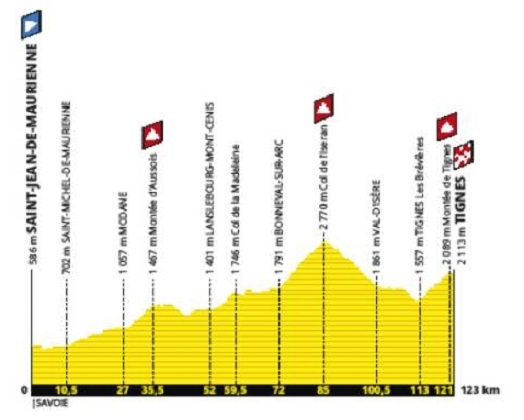 It’s Tourmalet day! The Pyrenean monster has long dominated the Tour, and this year it gets a stage more-or-less to itself – though don’t underestimate the Col du Soulor, which we climb first, from its scenic northern side. 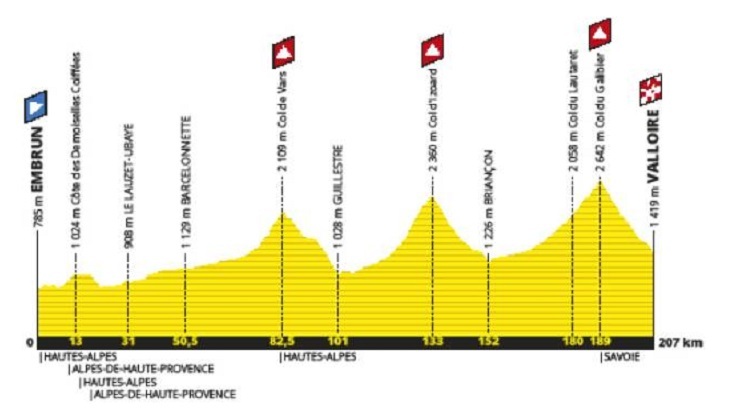 It’s a little over half the length of the Tourmalet, but slightly steeper with the summit marking this stage’s half way point. We then have 20km of descent (wheeee! ), followed by 19km of steady ascent, up the more beautiful western aspect of the Tourmalet for a summit finish. The climb averages 7.4% with just a couple of extra-steep bursts in the closing kms. This will feel really tough, and it’ll be no different a week later for the pros, even if they do manage it in half the time! The Tourmalet is the ‘oldest’ of all the Tour climbs, now appearing for the 87th time (although the times it has provided a summit finish can be counted on one hand). We’ll celebrate this mighty achievement with a night in a mountain hotel under the Pyrenean stars. The most challenging and very original stage of this Tour’s Pyrenean visit takes in almost 5,000 metres of ascent, via four categorised climbs. 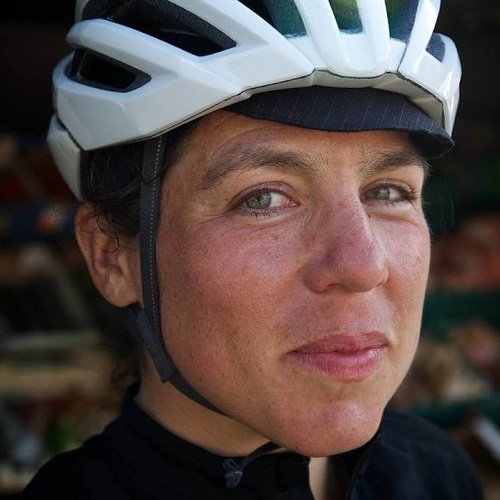 One third of the way in, at 60km, we have our first summit where we’ll be treated to the spectacular Cathar castle atop the Col de Montségur. The next third of the stage takes us to the Port de Lers at the 120km mark, which is the highest point of this stage at 1517m and is followed by a stunning lake just over the summit. It’s a sweeping 17km descent from there into the quirky little town of Massat, and immediately, without hesitation or hint of flat, it’s straight up the eye-wateringly steep Mur de Péguère. Cue legs of fire but smiles of joy and enough inspiration to fuel you on to the spectacular finale atop le Prat d’Albis, from which, on a clear day, we’ll be able to see much of what we’ve covered today. This will be a super-scenic, gentle stage, showing off the finest features of the Gard department before doubling back for a second night in Nîmes (big treat!). This city is so full of ancient architecture that it’s known as “the most Roman city outside Italy”. And what surrounds it is pure Provence: expect sun-baked countryside, pretty stone villages, fruit markets and a flat, speedy finish. 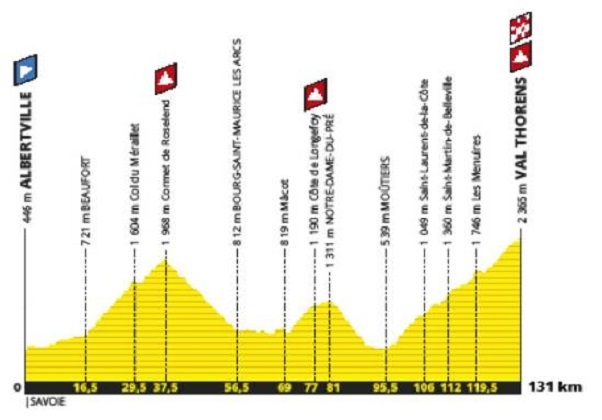 The stage never goes above 250m so this is one for for the pro sprinters to anticipate as they crawl through the Pyrenees: for us it’s a smile-making, holiday-feeling, Tour treat. We’ll start the day from a Roman wonder, setting off from the 2,000-year-old Pont du Gard, an aqueduct built as part of a 50km channel bringing water from the river Eure to the growing Roman population of Nimes. A gentle start (passing Orange’s amphitheatre and triumphal arch) belies the true nature of this stage because once we’ve crossed the Rhône, and skirted Vaison-la-Romaine’s ancient hilltop stronghold, we enter the hills and there’s no more pretending! For much of the day we’ll climb steadily up and east, climbing 800m over 60km, so while this is no mountain giant, your legs will feel it and the kilometres won’t be fast. This is all topped off with the very pretty Col de la Sentinelle and a short descent to Gap, marking the end of a delightful stage which, by crossing from Provence and the Rhone into the low Alps, is a beautiful stage in the Tour’s 2019 journey.